Today, we're delighted to announce the official unveiling of the "HfS 25" - a collecti0n of 25 sourcing leaders that will work behind closed doors with us to help define our industry, the like of which hasn't been done before. HfS Research is pulling together experiences from the leading minds who live and breathe sourcing everyday. And what surprised us, when we reached out to sourcing leaders in the HfS network, was the sheer enthusiasm with which they wanted to be part of this group - they want to get out and network, share ideas, meet peers in other organization, and add their tuppence to the future direction our industry is taking. 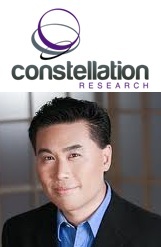 Today, Ray announced the launch of a very exciting new research venture entitled Constellation Research, which comprises a collection of really smart and remarkable individuals and friends who are - quite literally - changing the way market research and insight is being served up to the technology buyer. HfS Research is delighted to be the alliance partner of IT sourcing and BPO research to Constellation's buy-side community, where we'll be cross-pollinating some research with each other and coollaborating to help educate the sourcing buyer make better decisions. We all make curious decisions in life, like when you accepted your mum's Facebook invitation... or when Bill O'Reilly decided to be born. However, these pale in comparison when one of Europe's finest services analysts traded the corporate upper-echelons of Forrester Research to help kick-start a quirky little feisty research upstart, that was launched out of a blog - with a name no-one the left side of the Atlantic understands. But it happened: Euan Davis really did join HfS Research! 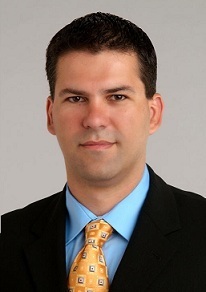 Esteban Herrera, Research VP for HfS' buy-side enterprise sourcing practice, explains why he joined the "Horses"
Esteban Herrera joins HfS’ executive management team as Research Vice President for the firm’s strategic sourcing practice for buy-side enterprises. 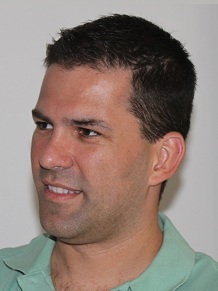 Herrera will drive a definitive research agenda that encompasses strategic advice, best practices and governance support across all aspects of IT outsourcing, BPO and shared services.